Here are some recent travel experiences. 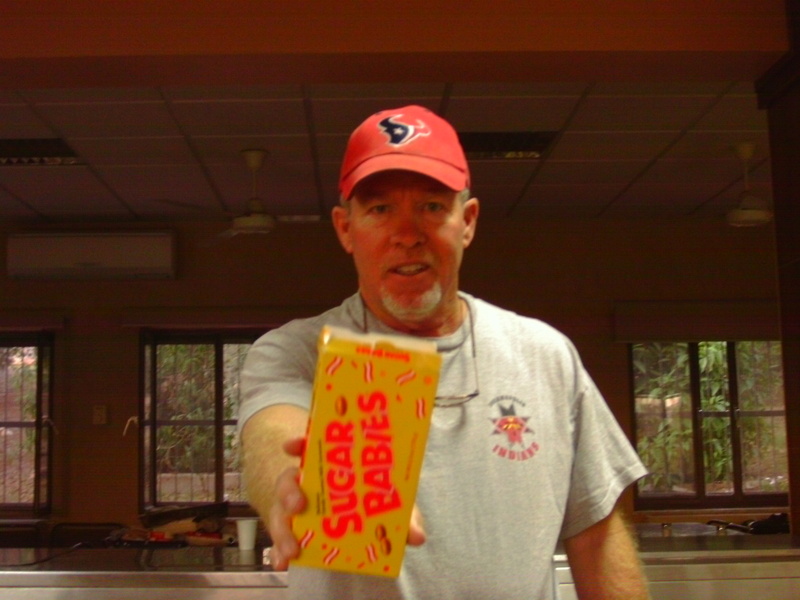 Would you like some Sugar Babies? People take up my offer and my limited supply diminishes. I stand in the elevator line at our hotel with two large bags. The door opens and the car fills. I wait some more. Too crowded. Too crowded. Too crowded. After several full cars pass my floor, I give up and drag my stuff down four flights of stairs. I pass through the security gate between the Israeli-Jordan border and wait and wait and wait. Lots of people make for slow progress. Some slip in line in front of me. What would take less than fifteen minutes from beginning to end if not for so many people takes over two hours. You wait to brush your teeth. You wait to take a shower. You wait to eat. You wait to make a simple purchase. You wait, wait, wait. All because of the people connection. People offer more than problems. They tend to help me when I’m lugging those extra bags around. They bring an interesting book to me, one I want to see but wouldn’t have without some help. They tell me what’s worth eating (in a place where we’re constantly trying to new things). As many of you know, my wife went into the hospital while I flew off to the Middle East. She is safely home now. One friend drove her home from Texas. Another checked in on her at home. Many prayed. Many sent me words that brought relief to my soul. As I’ve experienced the hustle and bustle of this day, as I’ve exited one nation and entered another, I have traveled with a strong human connection—both here among my traveling companions and there with you. And I’ve seen that connection among others. The laughter of small children who played in a pool together in Israel. The kindness extended to a father with an infant daughter by a Jordanian border guard—he signaled for the father to go to an air-conditioned office rather than stand in the 100+ degree heat. The immediate response of friends to a woman who had a bad experience during the border crossing. When we travel HOME, we not only connect with the ONE. We connect with others. Which brings problems…let’s not overlook that fact. Because if we do, we may become disillusioned and disheartened. And we don’t want to ignore the reality. But the human connection also brings pleasure—support, encouragement, additional strength for the JOURNEY. And we do want to experience that. Question: what do you see as the problems and the pleasures of life connected to others? This entry was posted in Lessons from the Holy Land and tagged Importance of Others, Relationship Problems. Bookmark the permalink. 2 Responses to How Important Is The Human Connection? Sometimes when bogged down in ALL the traffic on LI when I go home to visit, I think–boy, this world needs a good plague! Not a pretty thought, and definitely not true. This post of yours is so true–totally loved it. Hope Ellen is okay–it’s hard to have to leave when someone turns ill.
Ellen is home and surrounded by the love and support of friends. She got a lot of love from Penny our puppy when she walked through the door at three in the morning.